The gambling industry in Laos has been a subject of a lot of scrutiny throughout the years, but only now is the United States Treasury taking measures and calling it out on its illegal practices. 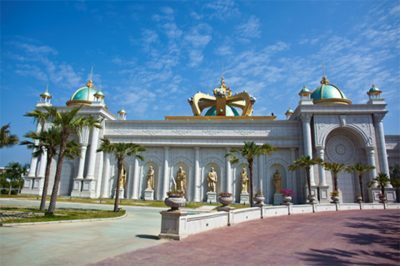 It recently became known that the infamous Kings Romans Casino located in the Golden Triangle region of Laos has been put on the radar of the authorities on account of alleged involvement in criminal activities. Among the supposed shady activities which have been detected by the Treasury Department are widespread trafficking in narcotics, wildlife and human beings. These illegal practices put the well-being of both human and animals at risk, as it violates their intrinsic rights. As of this Tuesday, the Department of the Treasury’s Office of Foreign Assets Control made it public that it is working on getting to the root of the situation and investigating the alleged hub of criminal activities. The gambling venue was called a hub of trafficking which is a part of an international organized crime network. The mastermind behind the scheme is the very owner of the casino venue Zhao Wei who is also the kingpin behind the transnational criminal organization responsible for the illegal traffic. In the official statement Sigal Mandelker, Treasury Under Secretary for Terrorism and Financial Intelligence claimed that these illicit actions are taking place in the Golden Triangle Special Economic Zone which is located close to Laos’ borders with Thailand and Myanmar. It could be recalled that the said economic zone came into existence after the arrangement between Mr. Zhao and the Laotian government. According to it, the authorities of the Asian country manage as much as 20 percent in the joint venture which is widely known as a place where criminal activities are taking place on a regular basis. There are reports that the transnational criminal organization is using the gambling location to mask the actual storage space where heroin, methamphetamine, and other narcotics are stored and distributed to their purchasers. As it was specified the narcotics are from Myanmar’s United Wa State Army, and in addition to that, the location has been discovered to launder money. 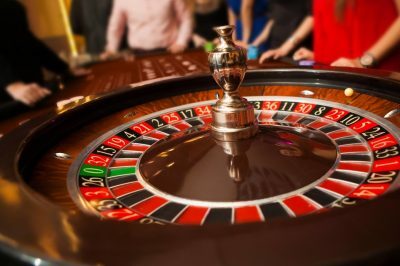 This recent move of the US authorities is striving to put an end to the illegal activities which have been going on on the premises of the gambling facility. The span of the criminal network is wide and as it has been discovered it covers the area of Laos as well as a wide part of Southeast Asia, thus being one of the largest transnational illicit networks which has been in operation for almost a decade now behind the facade of the casino venue. What led the US Treasury to the discovery was numerous drug seizures ever since 2014 throughout Thailand, Laos, and China, which have all been traced back to the Kings Romans Casino. Among the people who were pointed out as leading figures in the network were Su Guiqin, another Chinese national, Abbas Eberahim from Australia, as well as Thai Nat Rungtawankhiri.